In the 15 years since Fred Rogers died, the television pioneer has enjoyed a second life as an internet celebrity. At least once or twice a year, usually during another of the federal government’s endless debates about budgetary priorities, someone will dig up and pass around the video of “Mister Rogers” testifying before Congress about the necessity of funding PBS. Or in the wake of any tragedy or disaster, people almost reflexively share his simple advice to “look for the helpers.” Between all the memes, clips, and urban legends, Rogers long ago stopped being a real person, at least in the public eye. He’s more of an ideal. There’s a lot to like about Morgan Neville’s moving, inspiring new documentary Won’t You Be My Neighbor? ; but the film’s one major flaw is that it can’t quite bring its subject back down to Earth. That’s not for lack of trying. 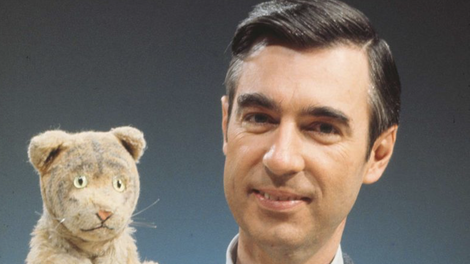 Neville talks to just about everybody alive who knew Fred Rogers intimately: his wife, his two sons, his longtime casts and crews on the PBS series Mister Rogers’ Neighborhood. They all share anecdotes about how, yes, Rogers could be cranky sometimes, and yes, he was known to laugh at a dirty joke. But more often, everyone speaks in awed tones about a man who practiced what he preached: greeting each new day with wonder, always endeavoring to treat other people kindly. In fairness to Neville, Rogers was an otherworldly figure when he was alive, too. Won’t You Be My Neighbor? balances its talking-head reminiscences with a generous helping of vintage TV footage—not all from Mister Rogers’ Neighborhood. 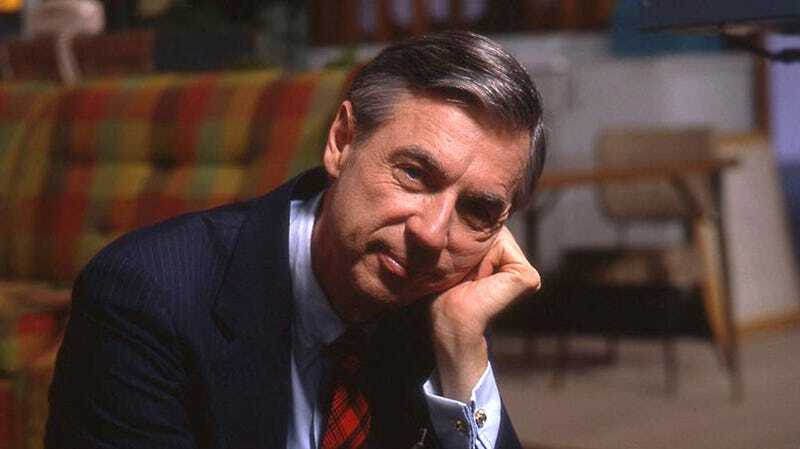 The film spends a lot of time on the cultural reaction to Mr. Rogers: in sketch comedy parodies, in bemused news-magazine profiles, and (most jarringly) in the wave of 1990s right-wing political commentators who blamed Generation X’s sense of entitlement on Rogers constantly telling them they were “special.” It was like no one quite believed someone as nice as Fred Rogers was real. Something had to be fishy. Those clips of the doubters and spoofers are valuable for how they put Rogers the man into a larger social context. Even better are the extensive excerpts from Mister Rogers’ Neighborhood, which reinforce how quietly radical that series was. Won’t You Be My Neighbor? tells the show’s story from the beginning, explaining how Rogers was on a path to become a Presbyterian minister before he became so annoyed at the vulgar slapstick and incessant materialism of children’s television that he felt called by God to do something about it. So he created a space on TV that was quiet. (In one memorable scene in the documentary, he just sits in front of the camera and watches a kitchen timer count off a minute.) Mister Rogers’ Neighborhood was honest, above all. Nothing was too little or too big to explain to kids: from why it’s important to share to why parents get divorced. From the moment Won’t You Be My Neighbor? debuted at the Sundance Film Festival back in January, the movie developed a reputation as a tearjerker. The trailer alone makes people cry—which in the great Fred Rogers tradition is a case of truth in advertising, since the film it’s promoting is a minefield of overwhelmingly emotional moments. The scene where Rogers subtly protests racial segregation at public pools by dipping his feet into a tub with his black castmate François Clemmons? Audible sniffles throughout the theater. The scene where he sings an impromptu tune with wheelchair-using youngster Jeff Erlanger? Not a dry eye in the house. The scene where he asks a university graduating class to take a moment to remember someone who helped them succeed? Noisy boo-hooing. There’s a purpose to Neville’s audience manipulation, and it has to do with the aforementioned skepticism that some adults directed at Rogers during his lifetime, and that some feel even now. We tend to develop a thick, cold skin of cynicism over the years. Won’t You Be My Neighbor? skillfully peels that away, so viewers can remember one of Mister Rogers’ most important lessons: that it’s okay to feel. There’s some thinly cloaked sociopolitical subtext to the documentary, which suggests—earnestly and forcefully—that in a time of often-distressing meanness and division, we should remember how much we need each other, and realize that neighborliness is an underrated virtue. But the film’s real strength is its plainness. Won’t You Be My Neghbor?, like Rogers, tells us what we already know in our bones about how we’re supposed to behave. Hearing it said aloud, so calmly, is unexpectedly shattering.